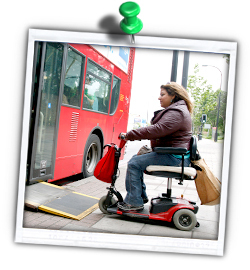 Despite the fact that London has the largest accessible bus fleet in the world, using buses in London can be challenging for Disabled and older people. 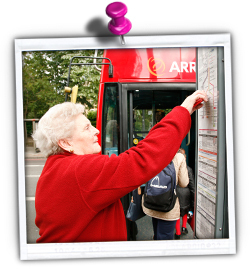 However, armed with the right information, you should be able to use buses to explore our great city. 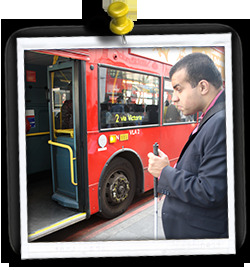 Don’t forget that our Advice Line can help you with your accessible transport issues (020 7737 2339; contactus@transportforall.org.uk; click here for other ways to contact us). ...for travellers using a mobility walker or a shopper trolley: If you use a wheeled mobility walker or a shopper trolley, don’t be too shy to ask the driver to lower the bus or the ramp so you can board more easily. The bus has been designed to do this and the drivers have been trained to operate this function when requested – they only have to push a button.